Teenage rhinoplasty is a controversial subject. Is there a best age for rhinoplasty? The answer is no. 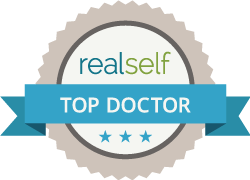 Unlike some cosmetic surgery like Otoplasty, when you’re ready is the best time. Otoplasty by the way is best just before the start of public school. The other side of the question is there a bad age to have rhinoplasty, can in fact be answered with some precision. Nose job surgery is an operation for young adults. Most people are in their 20’s and 30’s. Rhinoplasty in the 40’s and 50’s occurs enough that it’s not remarkable. However rhinoplasty in people older than 60 is uncommon, even if you include reconstructive nasal surgery. With people in their 80’s it’s rare. Is there an upper limit for nose job surgery? Eventually there comes a time when the general health of the person has deteriorated such that an elective surgery like cosmetic rhinoplasty becomes inappropriate. The desire for rhinoplasty also diminishes with time. The usual reason which motivates someone to proceed is a desire to feel good about oneself. It’s a simple truth that people feel good when they know they look good. This human characteristic transcends cultures and is truly universal. However as one ages this part of the human condition reduces and hence the few rhinoplasties in old age. Some may argue facelifts prove the opposite. The peak age for facelift surgery is certainly older, commonly in the 50’s, but it too diminishes into the 80’s. What about the younger end of teenage rhinoplasty? Any rational person would be shocked and disgusted if a child underwent cosmetic surgery. Many people will easily recall the outrage and media frenzy over Botox being used on a 9 year old to improve her chances in the competitive world of beauty pageants. It’s easy to agree on the extreme examples, but decisions become more difficult when the case starts to fall in the gray zone between aesthetic enhancement of an acceptable appearing nose and reconstructive surgery of a nasal deformity. It’s difficult to explain in words the source of this intuitive and natural emotional response to childhood cosmetic enhancements. Part of the answer must surely be the innocence of a child. They are not aware of their body image. This awareness develops over time and the influence of their ever expanding outside world. If they are subject to bullying then this awareness can occur sooner. However this is in response to perceived abnormality like cleft lip or protruding ears. The wish to enhance what is commonly seen as within the normal range develops with puberty. The body is undergoing enormous and rapid changes. Teenagers naturally become occupied with their appearance. Is there a physical or medical cause which limits the age for teenage rhinoplasty? For many years surgeons felt early surgery on the nose would alter negatively its growth. The commonly accepted rule was two years after the start of menarche as most teenage girls have reached their full height at this time. However this thinking has been challenged and the opinion is now mixed and no longer clear and reassuring. Much of this work comes from Toronto, where Dr Crysdale has operated on hundreds of child with very severe nasal blockage. These kids, some as young as eight, have been followed into adulthood and no evidence suggests their nasal growth has been affected at all. I believe the decision to proceed with teenage rhinoplasty isn’t so much as physical as mental. It’s a question of emotional maturity more so than physical. Everyone agrees the best outcomes can happen when it’s the patient who wants the nose job surgery, rather than anyone else. Teenagers are transitioning from dependency towards full independence. Their family most notably their parents are to some greater or less degree involved and influence the decision. If the surgeon feels the parents are promoting the surgery while the teenager is equivocal, the outcome and success is at risk. Regardless of the objective improvement, success, as defined by the patient, may not occur. There are several possible outcomes of teenage rhinoplasty, many which are not healthy for the teenage patient or the family. It can be difficult to confidently determine maturity at the first consultation for teenage rhinoplasty. Sometimes a second and even a third visit is needed to convince a surgeon who has the best interests of the patient foremost. Usually at least one of the parents is asked to come at a second visit. Teenage rhinoplasty can have a huge effect on a young adult. Indeed here is the place where surgery can influence the development of a person’s character. The adage “if a patient is happy before surgery, they usually remain happy afterwards and vice versa” may not apply here. Teenagers are still forming their personality and rhinoplasty, like other external influences, can for good or for bad shape their character. I have seen timid and shy young girls blossom into confident and outgoing young women with successful teenage rhinoplasty. Unfortunately I have also seen the reverse with emotionally damaged individuals exploring a possible revision rhinoplasty. This only occurring after many years to arrive at the courage to take the first step. Sixteen is often used as a convenient starting point to consider teenage rhinoplasty. With girls it’s possible at a younger age than with boys, since females tend to mature sooner than males. In summary it’s not possible to define a clear lower limit for teenage rhinoplasty as each teenager needs to be assessed and the influences taken into account on a case by case basis.